Q: What's happening with Local Property Tax (LPT)? A: Actually, nothing until 2021. At present, LPT rates are based on 2013 valuations. It was previously decided to keep them at this level until November 2019. Now the Government has decided to put off any changes until November 2020. Householders won't see any changes in their bills - including possible increases - until 2021. The Opposition has claimed this is being done for political reasons as an election is likely to happen long before then. 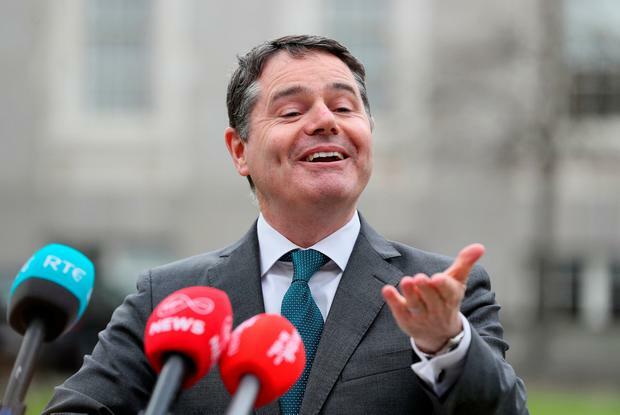 Finance Minister Paschal Donohoe says more consultation is needed to ensure stability for taxpayers in their LPT bills and that any increases will be "modest and affordable". Q: Didn't Government officials do a review of LPT? A: Yes. An inter-departmental group was set up early last year to chart a way forward in making changes. It recommended that, ideally, the revaluation should take place this year if the Government is satisfied it provides affordable adjustments. Ministers decided to delay. The review outlines what would happen if no changes were made to how LPT is calculated, and five scenarios for other options all of which would involve "winners" and "losers" among households. Q: So what would happen if the way the LPT rate was calculated was not changed? A: It would mean that the current LPT rates would apply to properties based on current valuations. If it had been allowed to happen this year, it could hike LPT by much as 80pc given property price rises since 2013. But the Government decision to delay avoids this. Q: What are the five alternative scenarios? A: All five are based on changes that would see a broad yield of €500m-a-year for the Exchequer. There are advantages and disadvantages to all of them. Scenario one sets a 0.114pc rate for all properties and those on lower incomes are said to gain more. Scenario two would see yields for local authorities equal to their expected revenue in 2018. This would see the average LPT charge lessened. Scenario three would set a different LPT rate for each valuation band. This would benefit those on lower incomes but would be difficult to understand and challenging for Revenue to implement. Scenario four is the same as scenario three, but would set a floor of €90 LPT for those with homes valued at less than €100,000 generating €13m more. Scenario five would see all valuation band thresholds increased by 80pc. This is said to be simple to communicate and just over 82pc of householders would see no increases. Q: Which option will it be? A: Nothing is decided yet. Mr Donohoe said he favoured scenario five but the report was to be considered by the Budgetary Oversight Committee in a bid to get cross-party consensus on a way forward. That may be easier said than done.